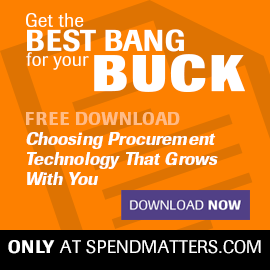 Relentless pursuit of supplier rationalization via strategic sourcing may not go as planned. When choosing eggs for your market basket, how you consume supply matters. Why is Amazon cheering on the merger of the Big 2 office supply firms? Breaking down what a merger of the Big 2 office supply firms means for procurement.